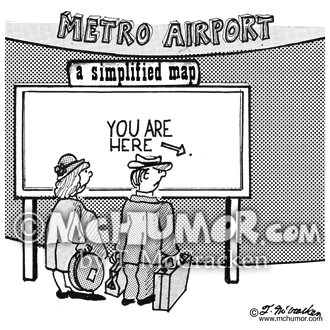 Map Cartoon 1757: At an airport a couple looks at “A Simplified Map," a blank map with one dot and an arrow saying, “You are here." 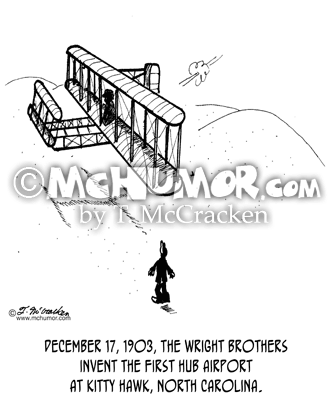 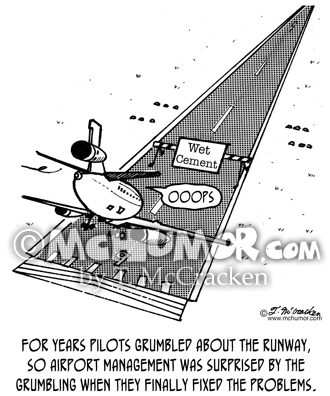 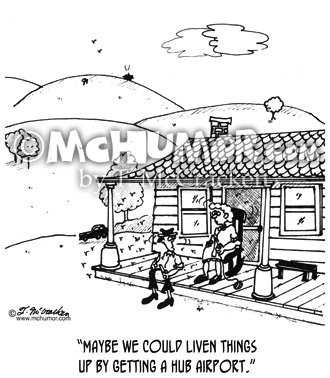 Flying Cartoon 1804: December 17, 1903, The Wright Brothers invent the first hub airport at Kitty Hawk, North Carolina. 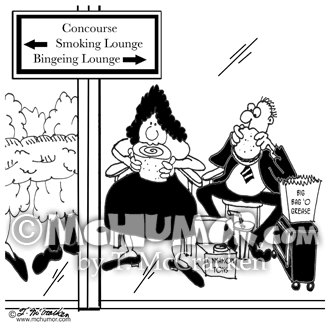 Bird Cartoon 2050: "Bird Pranks." 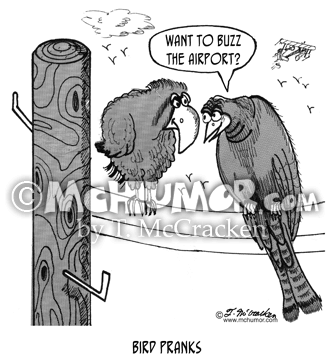 A bird on a telephone pole asks another, "Want to buzz the airport?" 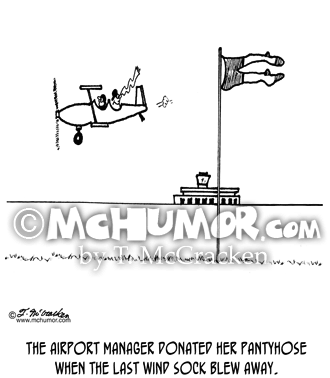 Pilot Cartoon 3451: A pilot explaining a pair of pantyhose flying on a pole on a runway says, "The airport manager donated her pantyhose when the last wind sock blew away." 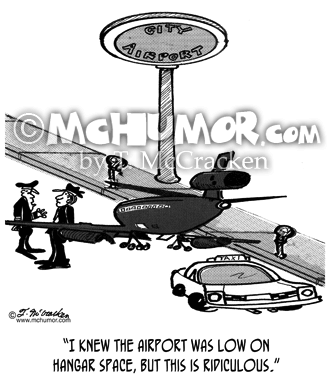 Airport Cartoon 1801: A pilot seeing a plane in a car parking space says: "I knew the airport was low on hangar space, but this is ridiculous." 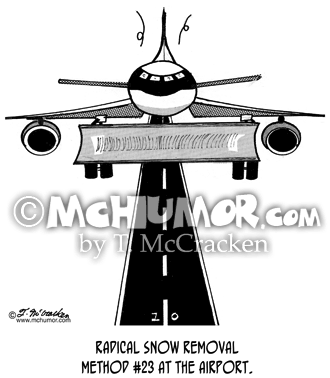 Airport Cartoon 1755: A plane with a bull dozer blade on it: "Radical snow removal method #23 at the airport." 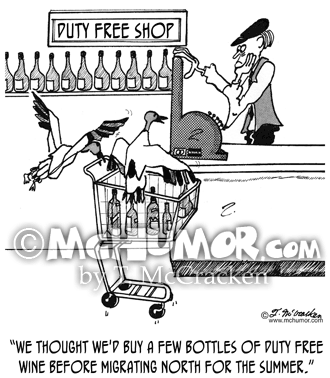 Bird Cartoon 1756: A bird in a pushing a shopping cart says to a clerk, "We thought we'd buy a few bottles of duty free wine before migrating north for the summer."